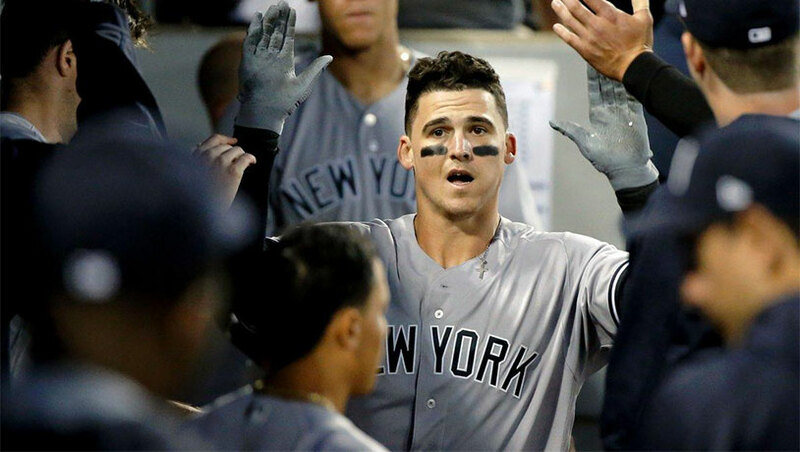 We reported last week on Yankees first baseman Tyler Austin teaming up with the Sean Kimerling Testicular Cancer Foundation to create a limited-edition T-shirt to raise awareness of the disease, but now other people are following suit. The New York Daily News just sat down with him to talk about his diagnosis at the age of 17, his five-game suspension for brawling with Boston Red Sox relief pitcher Joe Kelly, and more. Austin talks openly about the cancer diagnosis and treatment, which thankfully went without a hitch, as well as the fear of the cancer spreading. Coming forward about testicular cancer is a tough thing to do – there’s a real payload of embarrassment attached to talking about your balls so openly. But thousands of men around the world are doing so, and kudos to Austin for leading the charge. Maybe don’t get quite so fisty with the pitchers, though. We need you on the field.